A $30,000 prize pool with $10,000 in cash might interest you. As is now tradition, Cyanide Studios have put out the call for Blood Bowl 2’s best coaches and mercenary murderballers to compete in a world tournament for cash, prizes, and fantasy football glory. No, not that kind of fantasy football, the other kind. With orcs. And elves. No, not that kind of football, the joke version of the American kind. With murder. And dismemberment. 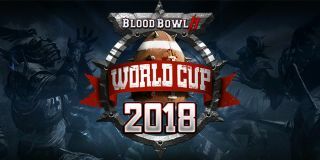 The Blood Bowl world cup is open to anyone who registers on the official website and chews their way through the competition into the 64-player playoffs. Beyond those spots, some of Blood Bowl 2’s popular community leagues will be sending their best players—I expect British league Far Albion and Ligue Française de Blood Bowl to make strong showings. Cyanide have also announced an invitational cup, to be broadcast on Twitch, that pits some of the game’s best players against each other for a chance at spots in the world cup bracket. The open qualifiers start tomorrow, April 4th, so if you’re interested you should get on that posthaste. The tournament itself is open to players with a copy of the game on PC, PS4, and Xbox One, the playoffs will be played on PC and require a computer. The qualification rounds of the tournament will last from April to July, while the World Cup playoffs will run from July to August, culminating in the World Cup match itself. It costs you nothing to try for the cup and there’s a healthy prize pool of $10,000 cash and $30,000 total value in prizes for victors, including some pretty nice gaming gear, a couple of high-end rigs, and a load of Warhammer games. For more information, check out the details on Blood Bowl 2’s website.